One of the highlights of this year’s Celebración event was the appearance by Periko & Jessi Leon, the Latin Grammy-nominated musicians who performed at the Homecoming barbecue at National Hispanic Institute headquarters, met with students during the program, and infused excitement and music into a weekend already bristling with energy and ideation. Periko & Jessi are known to American audiences, in part, for their contribution to DishLATINO’s Sigue Haciéndola campaign celebrating Latino pride within the United States. Periko & Jessi’s “Somos Latino” song served as a theme for the campaign, and was a centerpiece of their Celebración performance. 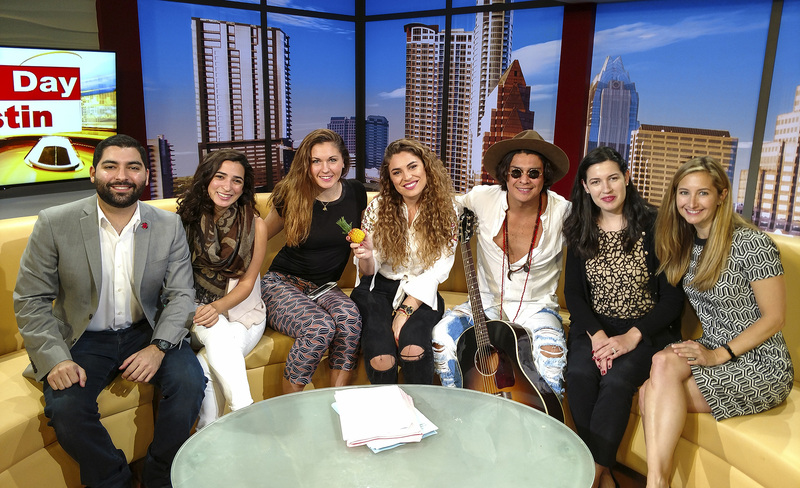 It was notably also the song they chose to perform for their appearance on Fox 7’s Good Day Austin show, as part of its popular “Music in the Morning” segment. Representatives form DishLATINO — a sponsor of Celebración as well as NHI summer programming — also got to see the energy of NHIers first hand.